A friend of mine fired through a link for a story about a double amputee in New Zealand who had a mermaid tail prosthesis created by WETA, and it got me to thinking about stuff. 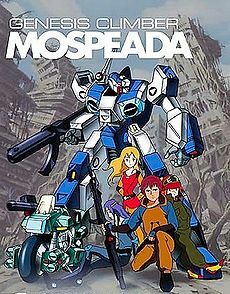 When I was 12, I was watching the very awesome third series of Robotech (which I later found out was called Genesis Climber Mospeada when ADV were kind enough to release the set on DVD, which I promptly snatched up several years ago 😉 ) on repeat on early morning TV, and in that series they have these awesome futuristic motor bike things that transform into these equally awesome power suit things (Wikipedia tells me they’re called Cyclone Veritech Ride Armors). Anywho, I remember thinking at the time that it would be awesome having a leg that could transform into something cool from Macross, like a rocket or something, and when I was reading that story I linked up above, out of nowhere I remembered that crazy thought I had when I was younger.